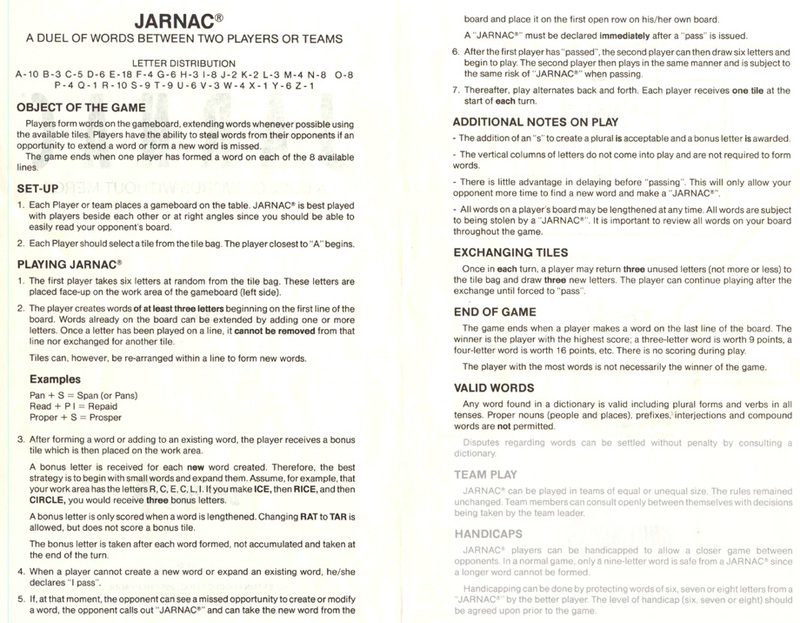 The number of "Jarnac" is displayed between ( ), and is red if the last "Jarnac" occured during the last turn of the player. To modify a word, first select it (even if the first letter of the new word is a new one). 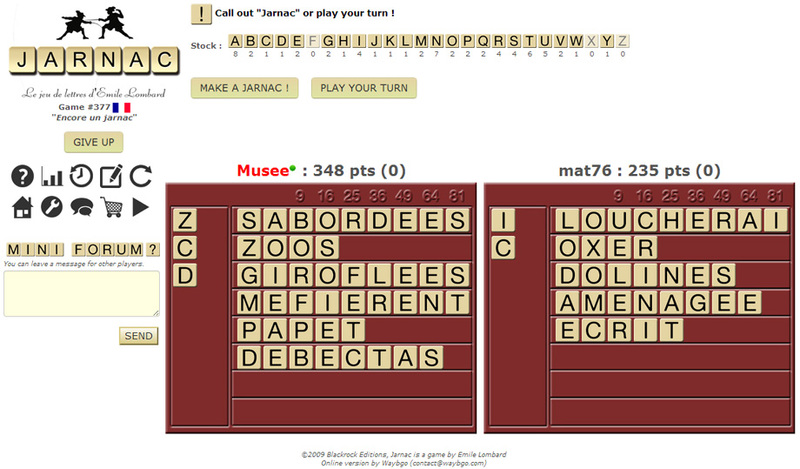 To unselect a word, click on or on another word. Chrome, Firefox, Internet Explorer 8+, Opera, Safari.